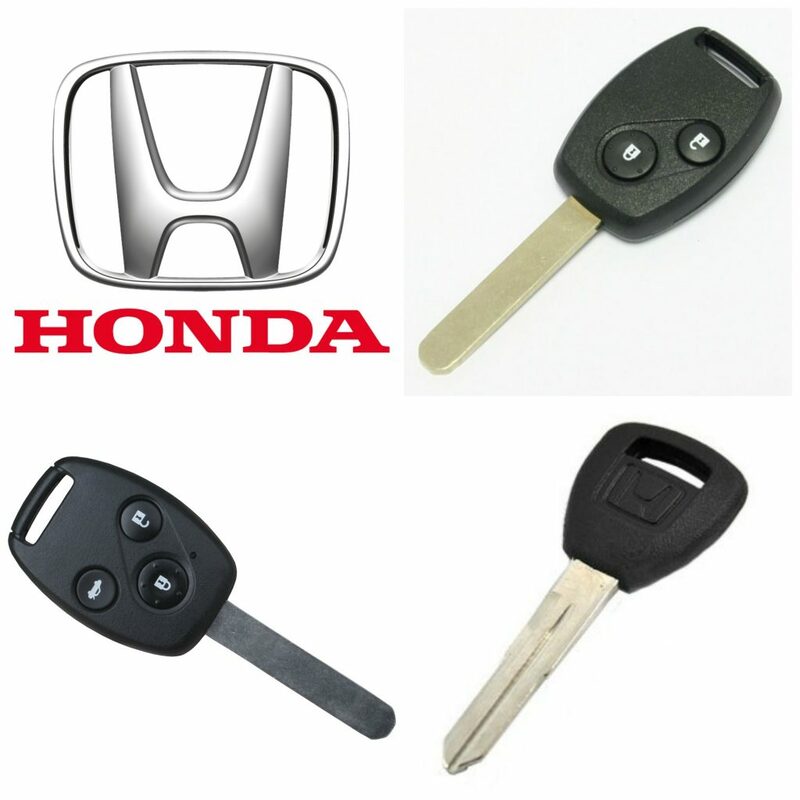 Lost car keys supply, cut and program replacement car keys for all makes including Honda cars and the Honda Jazz. We are able to do this if you need a spare key, or if you have lost your car key and have no key at all. We are mobile auto locksmiths and this enables us to do our job at any location, may be your home, or work, or in an emergency beside the road. The bonus for you is, you can get on with you life while we do our job, you don’t have to have time off work, run along to the main dealer and leave your car for the day, we will fit in with you. We have everything on-board to cut your replacement car key, then program the new key to your vehicle immobiliser system and we aim to have the key in stock meaning you can have a car key today. Have you got problems with your Honda Jazz ignition? If your Honda Jazz key either will not turn in the ignition, or you cannot push the key into the ignition barrel anymore, is is probable your ignition barrel or key are badly worn. We are able to provide a new key, possibly repair your ignition barrel, or replace the ignition barrel if required. Call us and speak to a locksmith 07813 802039.